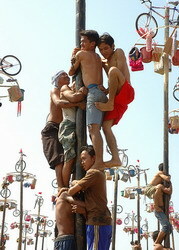 Last August 17th, Indonesia celebrated it’s 65th anniversary. 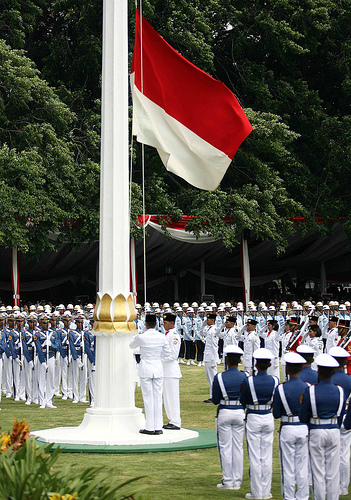 The formal celebrations include military marches, military bands playing and hoisting the Indonesian national flag. 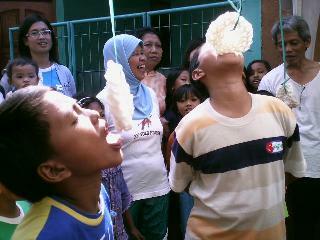 tug-of-war, recycle creativity, etc. 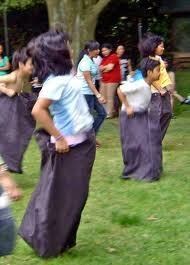 In every province, the races were made based on their own traditional games.